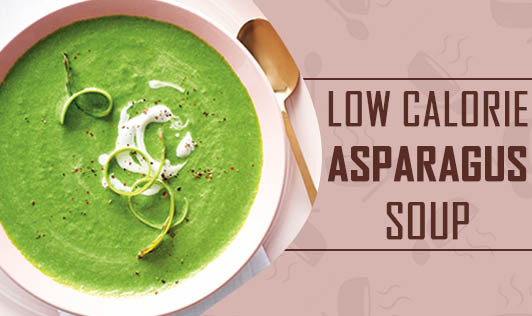 Asparagus soup is rich in vitamin E; mono unsaturated fatty acids and antioxidants that will help you lower your cholesterol levels and reduce your risk of heart disease. • Heat a non stick pan; add 2 tsp of oil and chopped onions and sauté till they turn translucent. • Add the chopped potatoes and vegetable stock and bring to boil. • Cover and cook over a low flame until the potatoes are fully cooked. • Now add the chopped asparagus and cook for a few more minutes. • Blenderize the mixture in a mixer. • Pour the pureed mixture back into the pan. • Add the milk, black pepper powder, salt and cook for 5 minutes. • Add a little more water if the soup gets thick. • Garnish with fresh pepper powder and parsley. • Add ¼ cup of chopped onions, carrots, cabbage, cauliflower and 6 cups of water in a pan. Add 2tbsp of chopped celery and cook for 20 minutes. Now strain it using a strainer.